City in Bohemia, thirty-three miles west of Pilsen; seat of one of the oldest Jewish communities of the country, as is shown by the remains of an ancient Jewish cemetery. 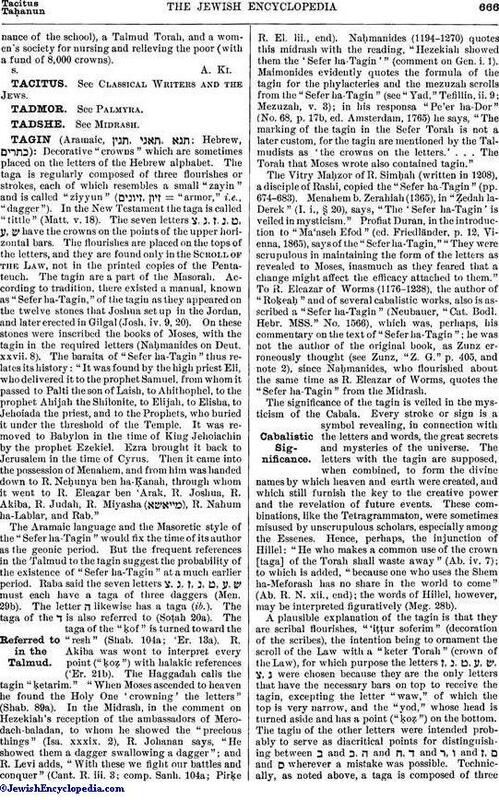 R. Samuel b. Ḥasdai, a contemporary of Isaac Or Zarua' of the thirteenth century, lived there, so that Talmudists must have resided in Bohemia as early as the tosafistic period. When the country was first divided into districts, Tachau was the seat of a district rabbi; but the rabbinate was abolished about a century ago. Rabbi Schidloff, who died in 1894 at an advanced age, was very active in behalf of the Jews of Bohemia, and frequently presented petitions to the Austrian Reichstag relating to the improvement of the circumstances and the efficiency of the rabbis. 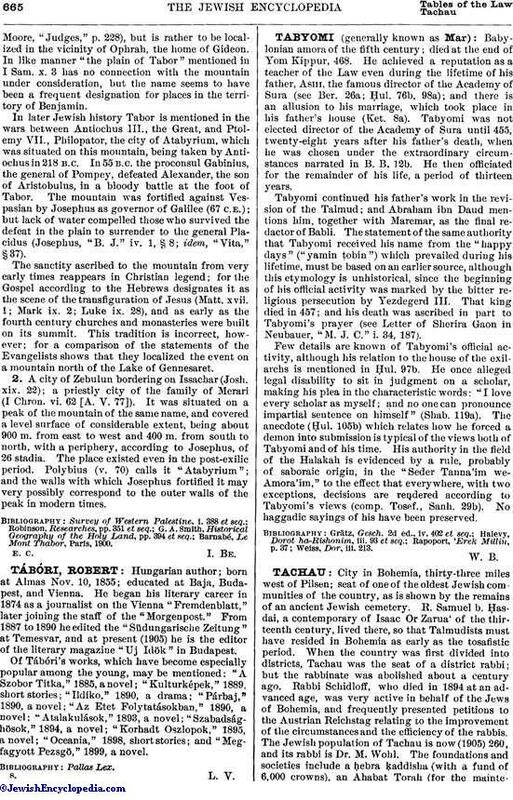 The Jewish population of Tachau is now (1905) 260, and its rabbi is Dr. M. Wohl. The foundations and societies include a ḥebra ḳaddisha (with a fund of 6,000 crowns), an Ahabat Torah (for the maintenanceof the school), a Talmud Torah, and a women's society for nursing and relieving the poor (with a fund of 8,000 crowns).